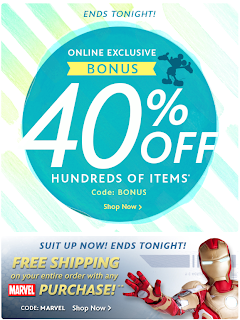 Disney Store - FINAL DAY for 40% Off + FREE Shipping Offers! It's the FINAL DAY to save big on your Disney Store purchase! 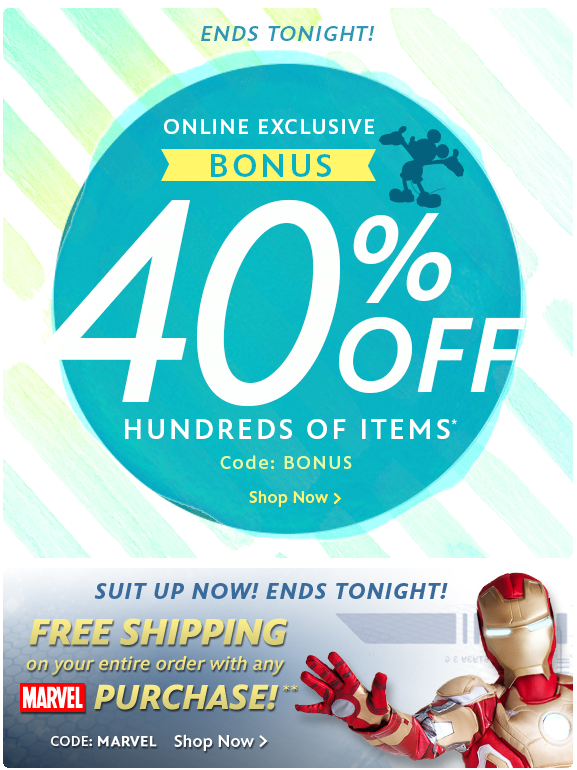 Through tonight take a bonus 40% off select items at Disney Store with promo code BONUS. Shop Now! Hurry -- sale ends at 11:59 p.m. PST. $3/1 Baush &amp; Lomb Biotrue Multi-Purpose Solution with Lens Case, 2 pk 10 oz ea. If you have not gotten a subscription to All You Magazine, what are you waiting for?! Each issue is full of great articles and money saving coupons. Right now you can get All You Magazine for $1 an issue.